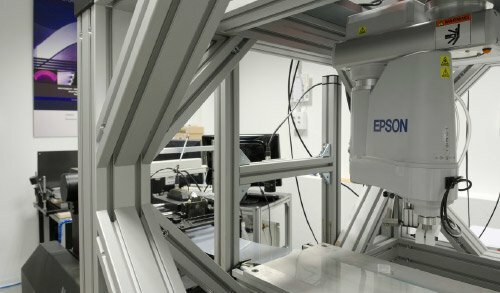 with the aim of studying materials, particles and structures which entail the creation or presence of elements with dimensions of at least below 100 nm, a nanometre representing a millionth of a millimetre. of Asturias, approved in 2014, defines its priority areas as ADVANCED AND SUSTAINABLE MATERIALS and NEW PRODUCTION MODELS. The materials sector has the greatest weight and tradition in the region, bringing together large industrial groups both internationally (steel, aluminium, zinc, glass, chemical), and nationally (extraction, cement, refractory, waste). Asturias has an important primary industry which it uses in its extremely high temperature furnace processes, at which only refractory materials can operate. This is why it has developed a hugely powerful local refractory industry, which includes local companies as well as large multinationals in the sector. Deep-rooted industrial culture, a result of the region’s history in mining and iron and steel works. Solid local base of goods and service providers for industrial activities (engineering, assembly, maintenance, sub-contracting). Spain’s main iron, steel and metal works area. Low work-force rotation and higher than national average productivity. Highly qualified HR available: 1,100 new graduates in different higher and technical engineering and 1,500 new graduates in Vocational Training technical studies each year. 14,000 engineering students and technical degree students registered at the University of Oviedo and in Vocational Training. Over 600 university students take advantage of an Erasmus grant each year, and over 1,000 international students are received each year. Industrial ports of Gijon and Aviles. Ports specialised in iron and steel works and energy transportation, handling solid bulk and merchandise in general, in containers, conventional vessels as well with Ro-Ro services. Internationally acclaimed R&D institutions and agencies for materials and industrial design. Ideal geographical location for access to the European market. The University of Oviedo offers new degrees adapted to the European Area for higher education with qualifications that cover most areas of knowledge. Some 30 % of its more than 22,000 registered students are following technical courses (Geology, Chemistry, Physics, Mathematics, Mining and Energy Resource Engineering, Forestry Engineering and the Natural Environment etc.). Approved Vocational Training with 17,000 registered students, more than the 35 % in technical degrees, completes the technical qualification of the Asturian workforce, combining theoretical training with work experience in companies. INCAR upholds its leading position in the field of coal and the science and technology of coal and carbon-based materials. Its scientific activity focuses on a cleaner and more efficient use of coal and its derivative, including new technological developments. The development of carbon and inorganic materials for structural, energetic andenvironmental uses. 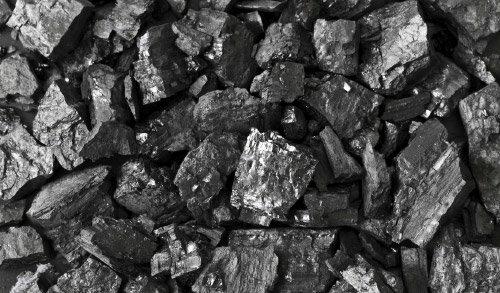 Clean technology for the conversion and use of coal. FEMETAL launches the Cluster of Advanced Manufacturing of the Metal Industry of Asturias, aligned with the smart specialisation strategy of Asturias and oriented towards companies and global value chains related to advanced manufacturing. 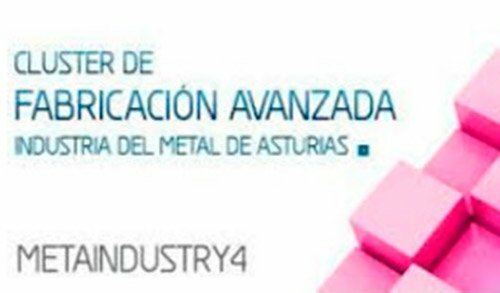 MetaIndustry4 groups scientific-technological, logistical and entrepreneurial agents of Asturias. 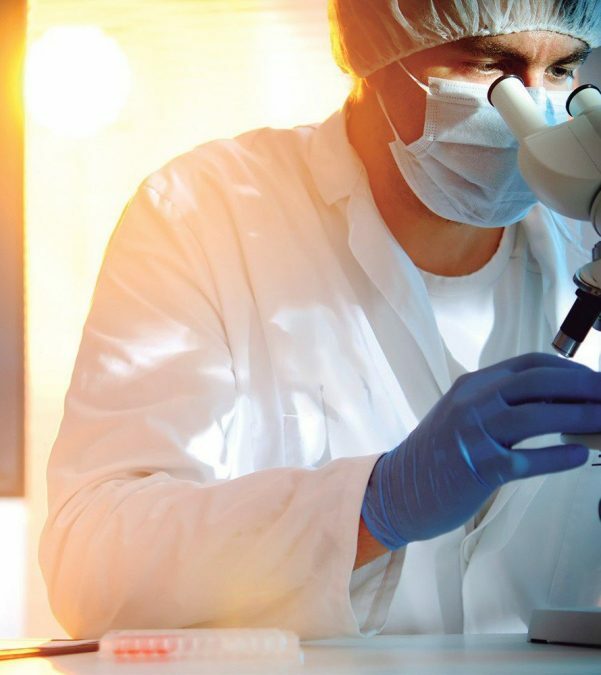 Technology centre specialising in research and development projects in Advanced Materials for highadded value products and technological laboratory services and conformity assessment. 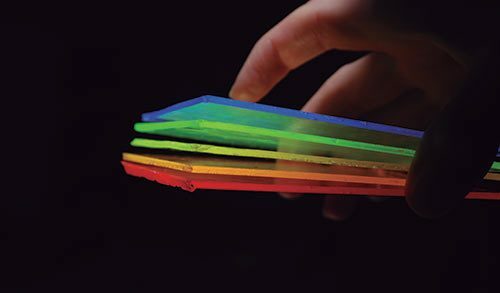 Its fields of specialisation are steel and metallic materials, plastics, nano-materials, ceramic, refractory and raw and photonic materials. Entrepreneurship Association that promotes a high level of RDI in a localized environment, including a very important part of the entire value chain of different sectors (railway, capital assets, nuclear, petro-chemical, scientific infrastructures, offshore wind power). 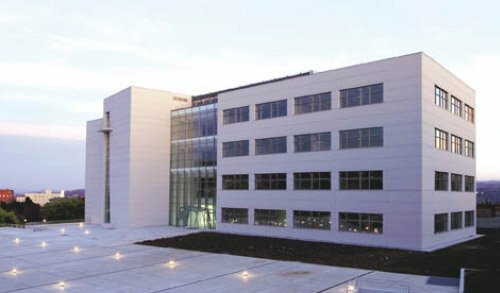 The CINN is a mixed research centre created through an institutional initiative between the Scientific Research Council (CSIC), the Government of the Principality of Asturias and the University of Oviedo. CINN research is based around a line called “Controlled Design of Multifunctional Materials on a Multi-scale”, and aims to develop, characterise and understand the behaviour of new multifunctional materials on a nano, micro and macro scale with the objective of vercoming current limits posed by material and processes. Coordinated by the ITMA Foundation, the cluster integrates the complete value chain: raw materials providers, refractory manufacturers and major users. 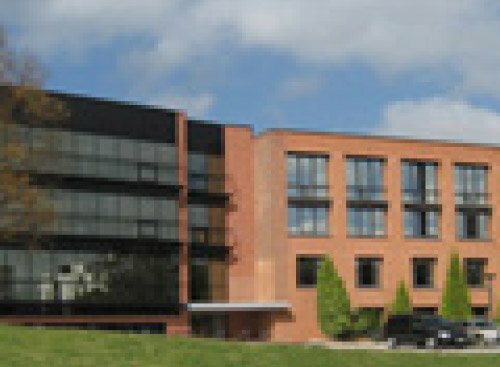 Technology centre specialising in industrial design and production. Its main line of research, in which the organisation focuses its competencies, is the design and development of Pilot Lines for the advanced manufacturing of high‑added value products. For this reason it consolidates its interest in Future Factory technologies. The aim of CETEMAS is to promote research, development and innovation in the Mountain-Industry value chain. 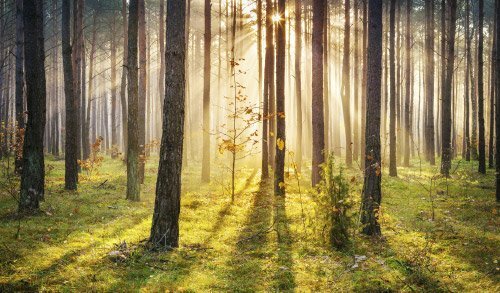 Its areas of work are Sustainable Forestry Development, Wood Technology and Structural Wood and Construction. Entity dedicated to the promotion and development of R&D&i activities and training related to extractive industries, and more generally, to underground activities. The Barredo Foundation is a European benchmark in underground activity (mining and civil works) steel cables and virtual reality for internal Machinery (miners and drilling rigs). Chemical and Process Industries Cluster of Asturias, aimed atdeveloping projects in the fields of innovation, sustainability and cooperation. 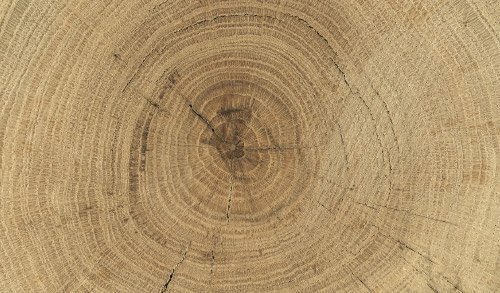 Entity representing the interests of the main wood sectors: forestry exploitation, biomass, primary transformation, storage and secondary transformation. 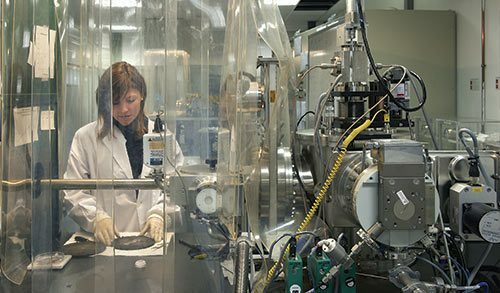 The National Coal Institute (INCAR-CSIC) has patented a technology developed in Asturias which allows graphene to be obtained from products deriving from coal and petroleum, coke. INCAR is currently coordinating an EU project to create graphene-based material. with 25.7 % and soft coal with 39.4 %. Note in this section the production activity of quarries, clay, limestone, dolomite, sand and gravel. With regards to non‑metallic minerals, activity is focused around the production of fluorspar, quartz and kaolin. eucalyptus, 22 % pine, and 3 % chestnut. 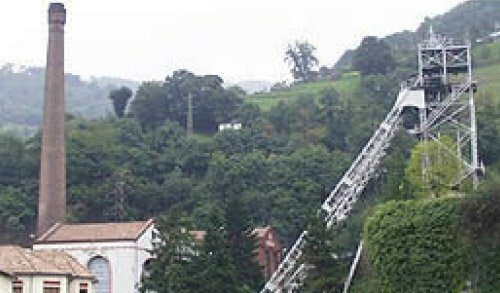 The paper industry in Asturias is dominated by the presence of the ENCE Navia company, the mill with the largest production capacity of the Ence Group. The mill’s current production capacity is 500,000 tn/year of high-quality ECF eucalyptus pulp (Elementary Chlorine Free-). 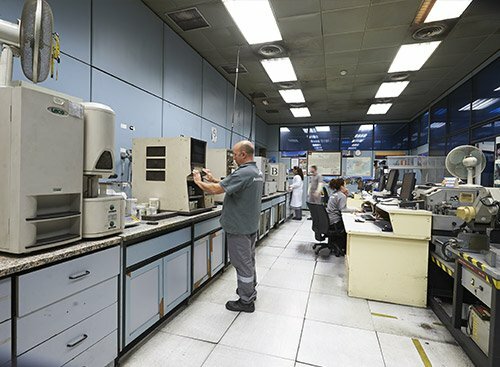 The Asturias-based company Industria Química del Nalón (IQN) stands out in the field of coke production, as well as for its contribution to the carbo-chemical sector with other products such as pitch, naphthalene and technical oils. It has a production capacity of 130,000 tm/year constituting the principal coke and foundry producer in Spain and one of the main European manufacturers. DuPont Asturias has the most modern production and services facilities in Europe. The company currently focuses its activity around three fields: agriculture and nutrition, industrial biosciences (in the field of energy and materials) and advanced materials. Regarding the fertiliser sector, Asturias is home to one of Fertiberia’s 7 productive units in Spain, which meets the demand of nitrates and complexes in north-east Spain. Pharmaceutical industry: the most noteworthy is the Bayer HealthCare plant in Asturias, the world’s largest production centre for acetylsalicylic acid, the only active component of ASPIRINA® and ADIRO®. Linpac Packaging is a sector leader for packaging in terms of the development and production of innovative solutions. Linpac in Asturias manufactures paper bags, opaque expanded polystyrene trays for food and transparent tubs with lids. Glass industry: the French group Saint-Gobain has an industrial centre in Asturias, where it develops activities of glass for construction (Saint-Gobain Glass) and glass for automotive purposes (Saint-Gobain Sekurit). 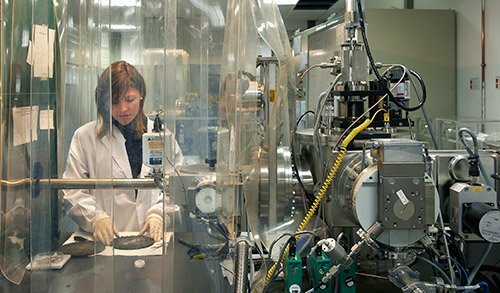 The company has a Research Centre (Aviles R&D Centre) which has worked on highly innovative projects such as the development of glass for solar energy or glass fusion procedures. Refractory industry: its main areas of application are steel, aluminium, cement and zinc, which correspond to the basic industrial sectors of the regional economy. Representative companies in this sector in Asturias include: Pasek España, RhI Refractories and Vesuvius Ibérica. In terms of cement manufacturing, the Asturian benchmark is the Tudela Veguin company, from the Masaveu Group, with industrial facilities for the production of grey and white cement. Iron and steel works have been and still are one of the region’s trademark characteristics. Its production includes steel, in particular the ArcelorMittal establishment in Asturias, which belongs to one of the largest iron and steel work groups in the world. Alcoa Inespal. 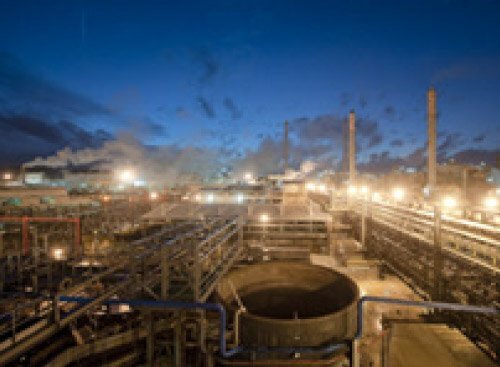 The Alcoa Group is a world leader in the production of primary and manufactured aluminium, as well as constituting the world’s largest bauxite mining company and aluminium refinery. industrial complex in Asturias and one of the most efficient in the zinc sector on a world scale. 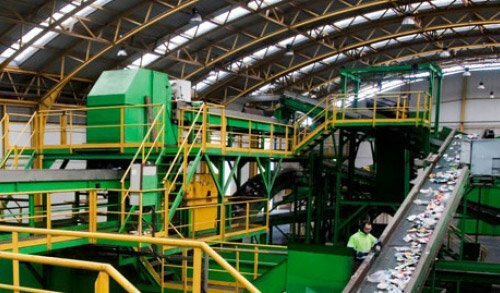 The public company COGERSA offers a centralised solution to waste management in Asturias. COGERSA performs recycling processes on 24 % of the waste the facilities receive. ArcelorMittal is the main world producer of iron and steel. Asturias is home to the only iron and steel plant in Spain, where the entire steel production process is undertaken. Each year it produces approximately a fourth of the steel produced in Spain. 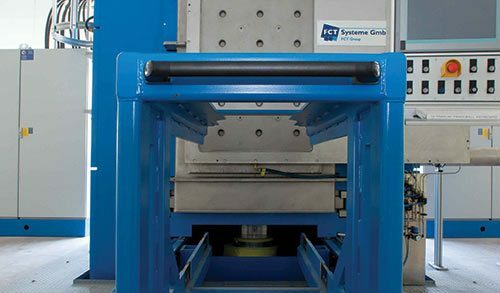 It manufactures flat iron and steel products (thick sheets, tinplate, galvanised iron and galvanised painted iron) and long products (tracks and rods). This company belongs to the multinational Glencore Xstrata International, a world leader in zinc production. 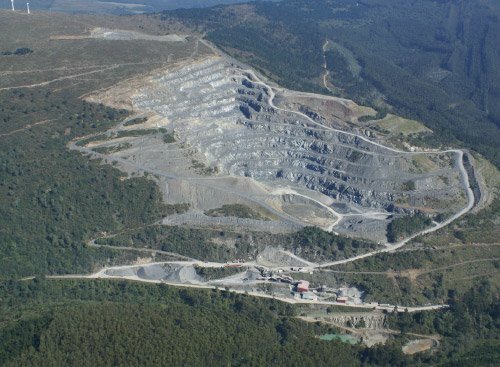 Asturiana de Zinc is the largest electrolytic zinc plant in the world (productive capacity of 510,000 tonnes each year, 47.4 % from the Glencore group) and one of the most efficient on a world scale thanks to the development of its own technology. 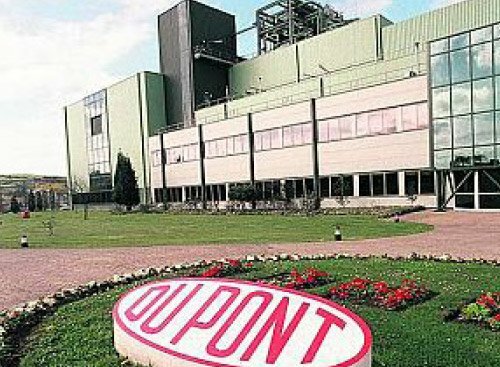 DuPont Asturias boasts the most modern company production and service facilities in Europe. The Company currently focuses its activity over 3 fields: agriculture and nutrition, industrial biosciencesand advanced materials. Main iron and steel refractory assembly plant in Spain. It is a well‑established company in the field of manufacturing and positioning of refractory products, exploitation and marketing of Magnesium Silicate (Dunite). It also offers integral maintenance services. 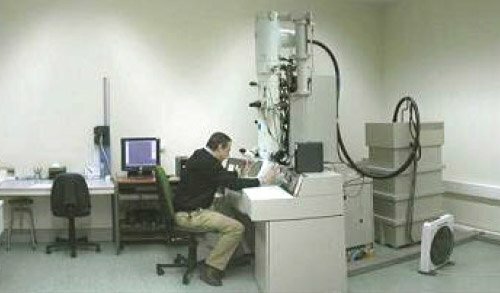 Technology-based Company which produces and markets high‑performance ceramic components based on advanced ceramics, nano-ceramics and nano‑composites for use in industry and biomedicine.